Manuel Rionda y Polledo (1854-1943) was born in Asturias, Spain to a family of 6 sisters; Maria (married Alfonso Fanjul Fernandez), Isidora (married Alberto Noriega), Gregoria (married Nicasio Fernandez), Ramona (married Pedro Alonso y Bobes), Maria de la Concepción and Bibiana (married Jose de la Braga y Diaz) and 3 brothers; Francisco (1844-1898), Joaquín (1848-1889) and Manuel (1854-1943) all Rionda y Polledo born in Oviedo, Asturias, Spain. Francisco was the first of the siblings to arrive in Cuba to work for his uncle Joaquín Polledo Alvarez who owned sugar plantations and by the early 1870s both became partners in Polledo, Rionda & Co., a sugar exporting business in Matanzas. Later Joaquín followed and then Manuel joined them for a brief period in 1870 before leaving to go to school in Farmington, Maine. By 1873 Joaquín had moved to Manhattan and associated in a commodity trading firm with Lewis Benjamin ( -1876) under the name Benjamin, Rionda & Co. and had married Lewis’ daughter Sophie, who died in November 1877 giving birth to their only son Manuel Enrique Rionda Benjamin. In 1874 after finishing school in Maine, Manuel joined Joaquín in NY. After Lewis and Sophie’s death, Joaquín became the sole partner and renamed the company Rionda, Benjamin & Co. In 1875 Francisco married Elena de la Torriente Hernandez and had six sons; Francisco Rionda (1876– ), Jose Bernardo Rionda (1878–1962), Leandro Rionda (1881–1953), Elena Felicia Rionda (1882–1944), Salvador Rionda (1888–1961) and Esperanza Rionda (1890–1960). Elena was the daughter of Cosme de la Torriente, a fellow Spaniard who had been established in Cuba since the 1820s. Cosme and his two brothers benefited from the slave trade and by 1875 owned seven sugar plantations: the Amistad, Carlota, Maria, Isabel, Progreso, San Pablo and Elena which management was entrusted to Francisco. By 1877 Polledo, Rionda & Co. had acquired Central China in Matanzas. Through Rionda, Benjamin & Co. in NY, they contracted with Farrel Foundry in Ansonia, CT for new machinery to substantially upgrade it. The sharp decline in sugar prices due to the increased production of beet sugar in Europe, forced Polledo, Rionda & Co. into insolvency in December 1878 unable to pay more than $400,000 owed to Rionda, Benjamin & Co. for the new machinery. As a result, Rionda, Benjamin & Co. acquired all the shares of Central China owned by Joaquín Polledo Alvarez. However, mounting losses in the Cuba operations due to continued low sugar prices and the abolition of slavery in Cuba on November 5, 1879 forced Rionda, Benjamin & Co. into insolvency in 1883. Joaquín moved to Cuba to try to save Central China, Francisco continued at the Elena estate until the de la Torriente’s lost it for debt. During that time the de la Torriente's also lost the Soledad plantation to E. F. Atkins & Co. also for debt. Francisco then joined Joaquín at Central China and Manuel also moved to Cuba and assumed control of the Matanzas warehouses for a brief period. While all three of the brothers were in Cuba, the New York business was left in the hands of a young 22 years old employee; Hugh Kelly. Franklin Farrel eventually took over Central China for the debts and hired Kelly forming the New York Sugar Manufacturing Co. to manage it with Farrel, Kelly and Lewis Cooke as partners. In 1886, primarily with capital contributed by Farrel, together with Kelly they erected Central Teresa near Manzanillo. Already established in New York City, Manuel married Harriet Clarke ( -1922) in 1889. A few years earlier, his sister Bibiana died in their hometown in Spain leaving eight or nine year old son Bernardo Braga Rionda (1875- ) motherless. A couple of years after his mother's death, Bernardo would come to live with Manuel who took care and raised him as his own. In 1889 Joaquin drowned while crossing the Tiunucú River on horseback, orphaned thirteen year old Manuel Rionda Benjamin was then, like his cousin Bernardo, put in Manuel's charge. After not being able to salvage the Polledo, Rionda & Co. operation in Matanzas, in 1886 Manuel settled in New York City working for the sugar brokerage business J. M. Ceballos & Co. and in 1889 he married Irish immigrant Harriet Clarke. In 1891 Manuel joined with Juan Manuel Ceballos and Juan M. Clarke, the Havana representative of Krajewski-Pesant Co., to organize Central Tiunucú Sugar Cane Manufacturing Co.
After the family failure in the 1880s, and having lost the Elena plantation which he managed for his father-in-law, Francisco Rionda settled in Tiunucú plantation which was basically all they had left in Cuba. Tiunucú was inland in Sancti Spiritus too far east where no railroad had reached yet. Nonetheless, Francisco settled there with his wife, three children and his nephew Manuel Rionda Benjamin. During his early years the family would receive three more children; Elena in 1882, Salvador in 1888 and Esperanza in 1890. However, with the outbreak of the Cuban War for Independence in 1895, all plans to develop the sugar mill were abandoned and Francisco and all his family had to flee to the US where they were received by Manuel and Harriet. In 1897 Manuel joined Czarnikow, MacDougal & Co., the newly established New York office of C. Czarnikow Ltd. established in 1861 in London which at the time was the world’s pre-eminent sugar broker. Czarnikow McDougal & Co. was established in 1891 by Polish-Jewish immigrant Julius Ceasar Czarnikow and Scottish George McDougal as the North American branch of C. Czarnikow, Ltd.
After Manuel Rionda started at Czarnikow, McDougal & Co. in 1897, he recruited his brother Francisco to be the company's representative in Cuba. Francisco, then living in New York returned with his family to Cuba to tend to his new responsibilities. In May 1898, Francisco acquired 50,000 acres of wilderness on the south coast near Guayabal approximately 200 east of Tiunucú from Salvador Cisneros Betancourt. When he died on November 18, 1898, an offer for a 25% share of the land made to Czarnikow, McDougal & Co. was under consideration but had not been accepted. After the war ended and the 1899 grinding season got underway, Manuel visited Cuba to find out if Tiunucú had survived the war. He found out that although the manor house and the ingenio structures were still standing, they were overgrown with weeds but could be rescued. Francisco's widow Elena and their children would move to the house and Manuel's brother-in-law Pedro Alonso would take charge of reconstruction, by the next grinding in the spring of 1900 Tiunucú would produce some 3,400 bags of sugar for sale. Another big event that proved rebuilding Tiunucú a great decision was the construction of Sir William Van Horne's Cuba Company central railroad from Santa Clara through the center of the island to the easternmost Oriente province in 1900. Tiunucú was one of the first sugar mills, if not the first, to haul sugar over the Cuba Railroad Company's railroad. That immediately resulted in a 50% increase in value for Tiunucú. While Tiunucú was being rebuilt, Manuel visited the wilderness his brother had acquired shortly before his death and decided to build a sugar mill there. This was a very ambitious project which required substantial capital to lure enough supply of workers, build railroad lines from the fields to the factory and build all the required infrastructure from docks to telephone lines to living quarters. 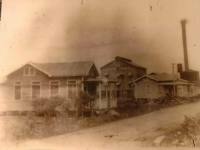 The project was aided by Henry O. Havemeyer's unrelated $800,000 investment to acquire the Lugareño estate and his subsequent acquisition of the San Martin estate which opened the eyes and interest of other US sugar refiners. The Francisco Sugar Co. was incorporated in New Jersey on March 1, 1899 but it was not until June 1900 that Manuel finally succeeded in selling a majority block of shares to the McCahan Sugar Refinery that the project took off the ground with William J. McCahan as president. To develop the colono system that had so well worked in western Cuba, then twenty-two year old Higinio Fanjul Rionda was put in charge of building and managing a colonia system and to run the company store. Francisco finally started producing in 1904 when it produced some 69,000 bags of raw sugar and showed a profit of $60,000. After 1904 its production stalled to a point that prompted Manuel to offer it for sale to James H. Post, the Cuban-American Sugar Co. and others in 1908 with no luck. On June 1909, John Durham, the McCahan appointed general Manager, was replaced with 29 years-old Leandro Rionda de la Torriente. Leandro did an excellent job in managing Central Francisco which in 1913 produced 257,140 bags of sugar that made it the 9th top producer on the island that year. In 1915 Francisco paid a stock dividend of 233%, in 1916, 1918 and 1919 it paid 20% cash dividend and 30% in 1920. Even in 1917 when the civil unrest due to the results of the 1916 election had threatened its mere existence, a cash dividend of 10% was paid. In 1916 Tiunucú paid 50% stock dividend on its preferred shares and a 100% stock dividend on its common shares and cash dividends of 10% in 1917 and 1918 and 27.5% in 1919 and 1920. In 1902 Manuel & Harriet acquired land accross Manhattan on the New Jersey palisades where they built a spacious home they called Rio Vista. Manuel & Harriett would call this home during most of the year except for the dead season when they would spend most of the time in London and for the beginning of the grinding season when they would spend the first three or four months of the year at Tiunucú. In 1906 Manuel started a very favorable relationship with the law firm Sullivan & Cromwell , the law firm responsible for convincing the State of New Jersey to change its laws to favor corporations and that organized the US Steel Co. for John Pierport Morgan. This relationship opened Manuel Rionda's access to Wall Street capital when $2.5 million in capital stock of the Stewart Sugar Co. The Stewart Sugar Co., named after the Glasgow manufacturer who designed and built it with the financial backing of the British investment banking firm Schroder , was a failed venture abandoned in its early stages by Cuban banker Manuel Silveira. Manuel Rionda, together with Sir William Van Horne and J. S. Fiske were the three voting trustees according to the Voting Trust Agreement drawn by Sullivan & Cromwell. Central Stewart first crop was 1908 and by 1910 it was already producing 215,000 bags of raw sugar sold by Czarnikow, MacDougal & Co. for a commission of 1% of gross proceeds. In 1907 when Juan M. Clarke, who had been the Havana agent for Czarnikow, MacDougal & Co. Export Department that Bernardo Rionda Braga headed in NYC, Manuel decided to establish a wholly own subsidiary to take over the responsibilities of the Export Department and organized the Cuban Trading Co., incorporated in Havana on July 20, 1907 by Manuel's close associate and friend Victor Zeballos y Chiriboga. Victor remained at the helm of the Cuban Trading Co. until his retirement in 1922 when he was replaced by Aurelio Portuondo Barceló. The Cuban Trading Co. handled substantial sales of machinery, jute bags and plantation supplies all throughout Cuba. After Julius Caesar Czarnikow died in April 7, 1909, Czarnikow-Rionda Co. was incorporated on September 1, 1909 to continue the operations of Czarnikow, McDougal & Co. with Manuel Rionda having a 20% ownership interest and its president and chairman and his nephew Manuel Rionda Benjamin as Secretary. It was agreed between the partners that in case of Manuel's death, half of his interest in Czarnikow-Rionda Co. would pass on to Manuel Rionda Benjamin, Bernardo Braga Rionda and Victor & Ralph Zevallos. Neither the Fanjul nor the de la Torriente nephews were included, leaving Fanjul with the Francisco colonia and the de la Torrientes with their interest in Tiunucú, Francisco and the inheritance from their mother's participation in her late husband's assets. In 1911, Manuel Rionda brought together a group of investors that included, Claus Spreckels , Edmund Converse , Regino Truffin, Joseph R. de Lamar , the law firm Sullivan & Comwell and the financial house of J. & W. Seligman & Co. , to exploit extensive land holdings around the Bahia de Manatí, twice the size of Havana harbor. 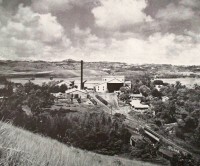 The Manatí Sugar Company was incorporated in New York on April 30, 1912 with a capitalization of $1.5 million to build the very large Central Manatí. It was an immense undertaking that presaged Rionda's most ambitious business venture, the Cuba Cane Sugar Corporation in 1915. Its Board of Directors was comprised of Regino Truffin, president; Rionda, Alfred Jaretzki of Sullivan & Cromwell and Frederick Strauss, vicepresidents and the Marquis de San Miguel de Aguayo Eduardo de Uzurrún, was the General Manager. Manati traditionally paid annual cash dividends of 10% on its common stock. In the summer of 1920 with nearly 70% of Cuban sugar production controlled by American corporations, Rionda saw the future of Czarnikow-Rionda & Co. commission business very dim and the downward trend irreversible. Although he had previously decided against the idea, In June 1920 he bought the McCahan Sugar and Molasses Refining Co. in Philadelphia for $5 million with the McCahans retaining 30% interest. In 1922, after his separation from the Cuba Cane Sugar Corp., Manuel turned his attention to the family's sugar mills, Francisco, Tiunucú, Manatí and Tacajó which they managed.